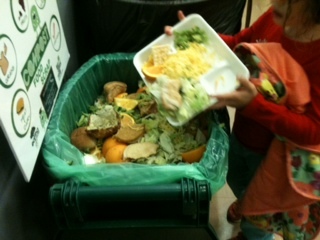 On Earth Day 2013 (April 22) Evening Street elementary students, with the support of school principal, Mary Rykowski, embarked on a zero waste cafeteria. 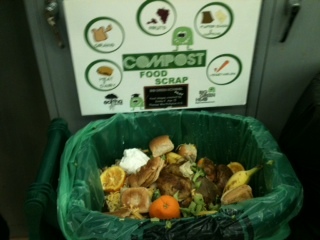 The first week brought long lines as students learned how to sort thier lunch waste into three bins: compost, recycling, landfill, and stack their one-use, polystyrene, trays (Styrofoam) at the end of the line. 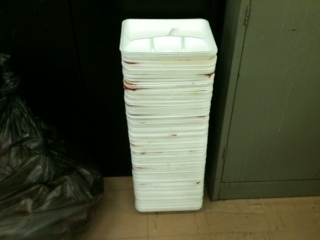 Evening Street Elementary School's cafeteria waste went from an average of 7 bags of landfill each day to 1.5 equaling an 80% reduction in waste to landfill! 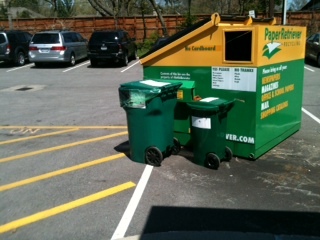 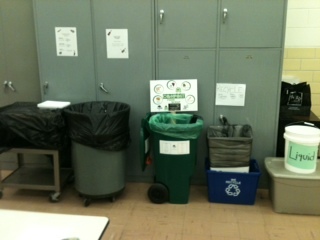 By the end of the 6 weeks, students had fully caught on and diverted a whopping 2,950 pounds from going to landfill!